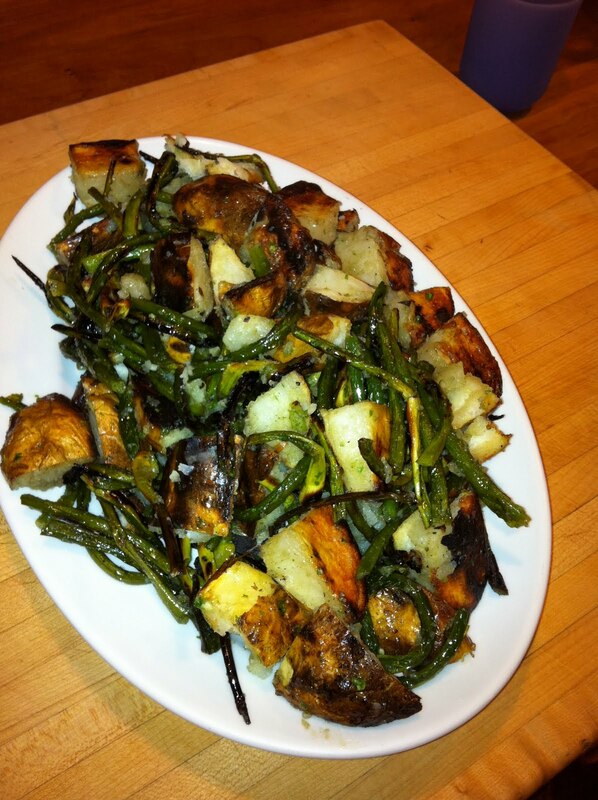 I made these potatoes with garlic scapes as they are so abundant and affordable this time of year but I could have easily used scallions, leeks, or sliced onions. They are pretty awesome on their own as well. I tossed the scapes in a little bit of extra virgin olive oil and some fine salt and put them directly on the barbeque on low heat and closed the lid. I flipped them every few minutes to avoid burning and removed once they were brown and soft all the way through. 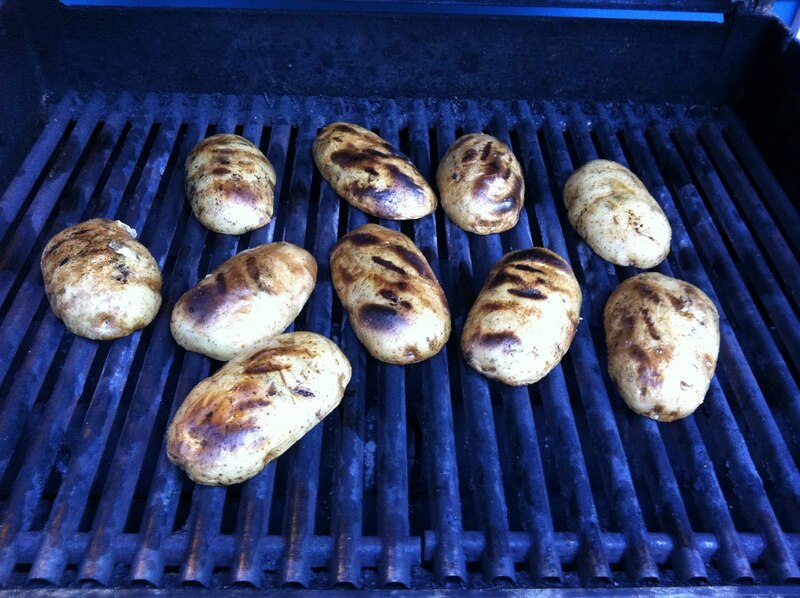 For the potatoes I cut in half and again tossed in olive oil and some fine salt and place directly on the grill with the lid closed. Once they were browned on both sides I turned off the back burners, slid the potatoes to the back away from the direct heat, and let them roast with the cover closed until soft, about twenty to thirty minutes. Along with the scapes I cut them into large chunks and tossed with olive oil and kosher salt. It's summer, no reason to turn on the oven to make potatoes. Gonna make this tonight! With my scapes! Love to you all.